Adding a large number of products increased the complexity of their FDA compliance and labeling, as evidenced by the increase in their label printing volume, from 25 to 20,000 labels/day. Kanani started printing label sheets on an inkjet printer, moved on to thermal (black only), and thermal overprint of preprinted labels. Their need for variable data labels, increased branding sophistication, and growing product lines caused them to seek a more professional and scalable label printing solution. Kanani Foods was using one-color preprinted labels for refrigerated food with a thermal printer to produce their 20,000 labels per day, with an inventory of 195 different label rolls. They wanted to produce more professional-looking labels on-demand while decreasing inventory and staying FDA compliant. Kanani Foods purchased the Memjet-powered L801 to reinvent the look of their labels. 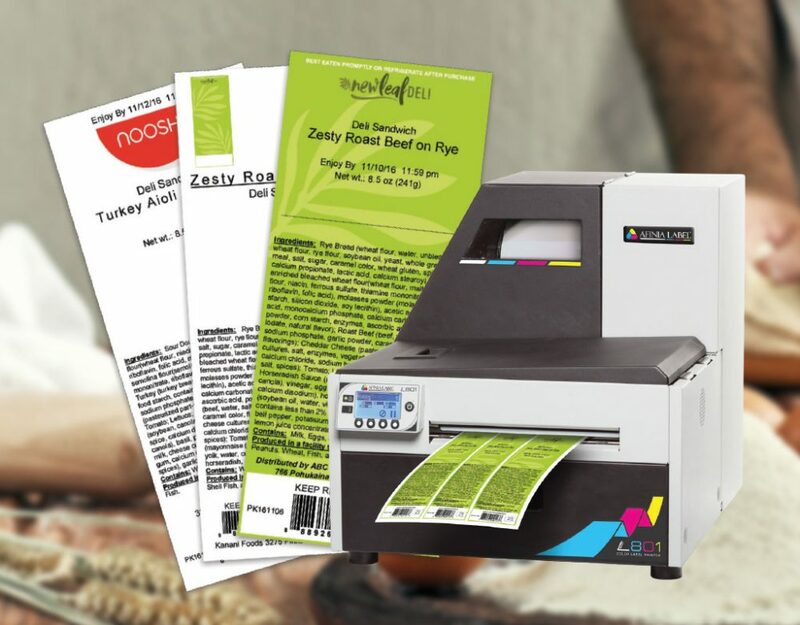 With the L801’s variable data printing capability, Kanani Foods is able to print FDA-compliant labels on-demand that contain manufacturing and sell by dates, and labels that meet USDA customers’ specific labeling, branding, and other requirements. By drastically reducing the amount of time it takes to print their label runs, they were able to gain over 6.5 hours of production, reduce headcount by one person (saving $4,000 per month), and increase production by over 50%. The L801 allows Kanani Foods to continue to grow their thriving business. Kanani Foods saved 22% per printed label, saving $600 per day. The L801 will pay for itself in approximately one month. Kanani Foods used thermal printing on one-color preprinted labels. Full-color labels are printed on-demand, in-house. Kanani Foods’ thermal label printing method cost $0.05 per label. $0.03-$0.04 per label cost, for 22% per label cost savings, or $600 per day savings. Labels lacked visual appeal, and printing took 7 hours (for approximately 20,000 labels). High-quality, professional labels print in 25 minutes—resulting in 94% labor cost savings.